The Sutton Byway, a seven mile route through Sutton’s Green Belt, was set out in 1986 by Birmingham City Council in conjunction with Sutton Coldfield Civic Society. The byway footpath passes through the fields from Hillwood Road to Worcester Lane, then runs along Duttons Lane. From Hillwood Road the footpath runs alongside an ancient boundary - the hedgebank of one of the open fields of the medieval village of Hill. The township of Hill had three open fields, and this one, Sherralls Field, was bounded in the south by Grange Lane, Tower Road and Sherifoot Lane, and in the north by this Byway hedge. These large open fields, as the name suggests, had no internal hedges, so the area now looks very much as it did six hundred years ago. Gradually over the sixteenth and seventeenth centuries Sherralls field was divided up into smaller fields, so that in 1824 there were twenty-eight small fields belonging to twelve different farmers leasing them from eleven different landlords. These fields were still there in 1950, but had all gone by 1970 making one big field again. A rule of thumb known as “Hoopers Law” states that the number of different tree species in thirty yards of hedge multiplied by 100 gives the age of the hedge in years. The hedge alongside the path is so overgrown and neglected that this formula cannot be used, but there are many different tree species there, indicative of its great age. The byway footpath follows the course of an old lane which was a continuation of Grange Lane, but leaves this old lane and the open field by a stile to follow another ancient hedgebank. This was the northern boundary of an open field belonging to the township of Little Sutton. This open field was called Shadwell Field, and was divided up into smaller fields as Sherralls Field was; some of these internal hedges and fences still exist, while the southern half of the field is now covered with houses. At Dale Farm the byway continues along the farm drive to Worcester Lane, alongside a field called Woodstiles; the house at the end, converted from a row of three workmen’s cottages, is named Woodstile Cottage. Worcester Lane was formerly Butchers Lane, changed to commemorate a visit of the Bishop of Worcester to St. James Church in 1855. 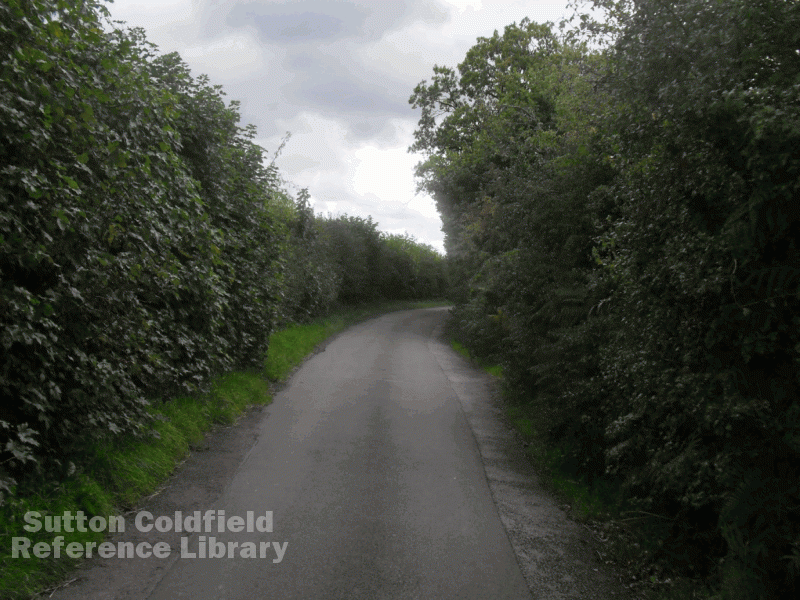 A short way along Worcester Lane is the turning into Duttons Lane; in 1986 this ran between fields, and Hooper’s Law could be used to show that the hedge on the right was much older than the one on the left, having more tree species in it. The large field on the right (now the Harvest Fields Residential Estate) belonged to Marlpit Hall Farm, and was possibly the ancient demesne land of Little Sutton. When land beyond the boundary hedge was converted to farmland,in the sixteenth or seventeenth century, it was separated from the old land by Duttons Lane and a new hedge. Duttons Lane, part of the Sutton Byway - the hedge on the right is older than the one on the left.